Mother was born in Poland in 1966 and entered the Congregation in 1985. With BA in Language Teaching and an MA in Theology from the University in Poznaďż˝, she taught English in the high school in Warsaw, being also involved in retreat work with families. Later on she was a director of a Home for Mothers and Children in Gniezno. Mother has experience in simultaneous translation at various international gatherings of the Congregation. In 2001 she was elected to the general administration as a councilor and secretary. In that role she served the Congregation for nine years. During that time she was also responsible for the Association of the Holy Family as the general coordinator. On July 21, 2010, by the decision of the general chapter, she was elected as a new general superior of the Congregation. 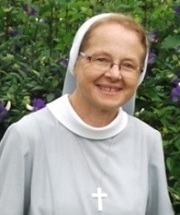 Sr. Helen Tereba was born in Germany in 1949. Her family emigrated to Sydney, Australia in 1950. She entered the Congregation in 1964 in Brisbane, Australia. Sister completed her Teacher Training at the Catholic Teachers’ College in North Sydney and obtained a Bachelor’s Degree from the University of New England, Armidale several years later. 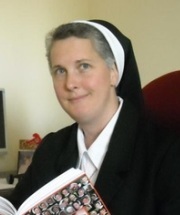 Sister served as teacher and principal in Catholic Primary Schools in Canberra, Sydney and Perth. In more recent years, she obtained a Masters’ Degree in Social Science and Counselling, and worked as a school counselor as well as in Pastoral Care. She served as the Provincial Leader of Holy Spirit Province, Australia from 1999–2005. Sister was elected to the General Administration in 2010 as the Assistant General. 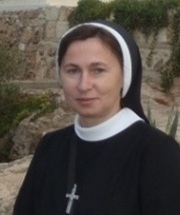 Sister Daniela Tupaj was born in 1961 in Łętownia, Poland. She entered the Congregation in 1980 in the Krakow Province and pronounced her perpetual vows in 1988. Sister completed her theological studies in the Catholic Academy in Warsaw. In the Congregation she was involved in various ministries including catechetics, director of postulants, local superior, and director of an Aged Care Home. From 2002-2010 Sister fulfilled the role of assistant to the General Treasurer. In 2007 Sister obtained her Masters Degree in the Management of Ecclesiastical Goods from the Claretianum Theological Institute in Rome. During the 2010 General Chapter Sister was elected as the General Treasurer and Councilor. 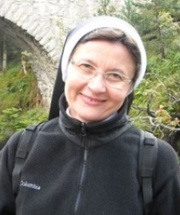 Sr. M. Halina – Anna Dołęga was born in 1961 in Łukow, Poland. Her religious formation took place in the Warsaw Province, Poland. Sister entered the Congregation in 1981 and pronounced her perpetual vows in 1987. She has a background in Nursing with a Master’s Degree in Biology. Sister also completed a two year course in Religious Formation in Krakow. In the Congregation Sister undertook various responsibilities. Initially these included Nursing and later as a teacher of Biology in a Private College of the Congregation in Warsaw. 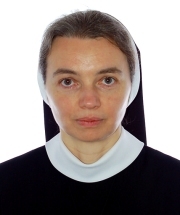 Sister fulfilled the role of local superior in Grodno, Belarus; local superior and Provincial Assistant in Warsaw; and was the director of ongoing formation in the Warsaw Province. During the 2010 General Chapter Sister was elected as General Councilor. 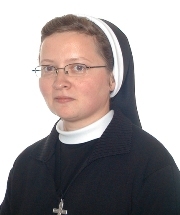 Sister Beata Rudzińska was born in 1964 in Tomaszów Mazowiecki, Poland. Sister’s convent formation began in 1983 in the Congregation’s Krakow Province. In 1991, Sister Beata professed her Final Vows. In this same year, she finished her theological studies at the Catholic University of Lublin. Within the Congregation, Sister has taken on various ministries, serving inside and outside the convent: Serving as a catechist, Assistant Director of Vocations, Assistant Director of Novices, and working in administration for Radio Maria in Torun. From 2003-2010, she fulfilled the role of Secretary and Councilor in the Provincial Administration for the Name of Mary Province in Krakow, Poland. During the General Chapter in 2010, Sister Beata was approved as Secretary and General Councilor. Sr. Angela Marie Mazzeo was born in Philadelphia, Pennsylvania in 1966. She entered the Congregation in 1992 after receiving her Bachelor’s Degree in Pharmacy from Temple University. After first profession, Sister began her ministry at Nazareth Hospital. In subsequent years, S. Angela returned to school to obtain a Master’s Degree in Business Administration. Over 15 years of hospital ministry, Sister served as a staff Pharmacist, Pharmacy Supervisor and eventually Director of Pharmacy. On July 23, 2010, Sister was elected by the General Chapter to serve as General Councilor.